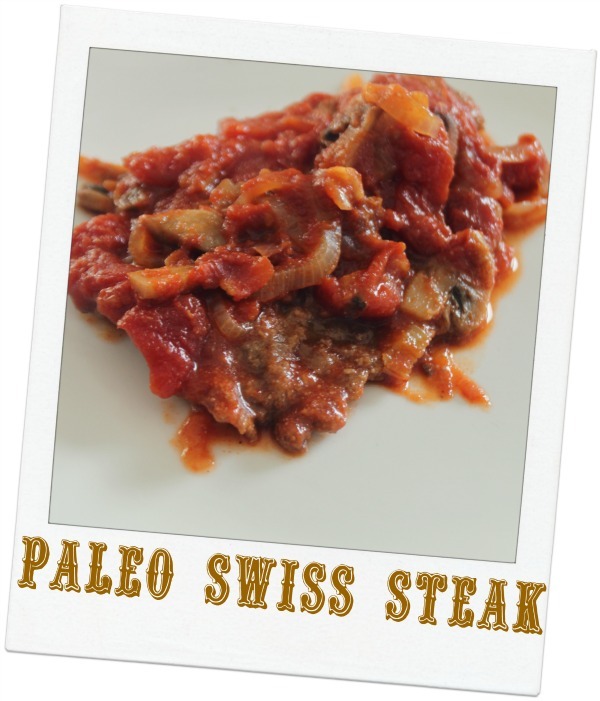 This is a gluten free spin on Baba M's famous Swiss Steak recipe. I used coconut flour instead of wheat in my batch and will have to switch out the mushrooms for peppers next time. So today is a crazy day. I will be running all day so I am leaving you with a recipe from the archives I made a few weeks ago that I never had a chance to post. It was my pre-Candida diet days. It can easy be adapted to be Candida diet friendly so I will be making it again. I'm also trying to eat more beef since I can't have pork on my Candida diet and beef is basically the best food to try and combat my low iron problem. Hope everyone had a wonderful Mother's Day. Mine was awesome. We spent 4 hours at the local fair, the sun was shining and the kids were happy. So I was happy. Heat a griddle or skilled to medium high heat. Drizzle with olive oil. Coat both side of each piece of steak with a light dusting of coating. Fry the beef until coating is browned. About 3 - 4 minutes per side. In a separate sauce pan, fry garlic and onion in olive oil until softened over medium heat. About 2 minutes. Add celery, mushrooms and celery. Fry for about 5 minutes until vegetables are softened. Add tomato, Worcestershire and paprika. Simmer for about 5 minutes. Preheat oven to 325 degrees. Transfer half the tomato sauce to a casserole with a lid. Place browned beef on top and then cover with the remaining tomato sauce. Bake with lid on for appox. 1 hour and 20 minutes. Beef should be fork tender.